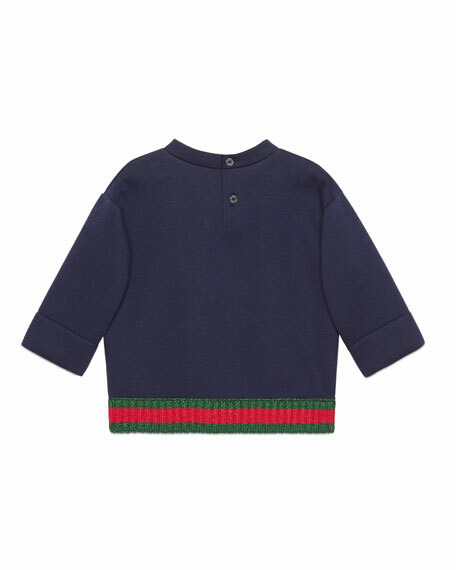 Gucci felted cotton jersey sweatshirt. 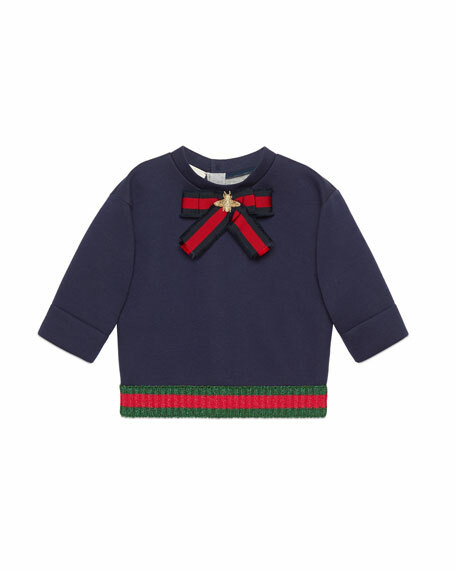 Blue/red/blue Web bow with golden bee embroidery. Crew neckline; mother-of-pearl button closure at back. Green/red/green Web Lurex® knit hem.